Chase Liquid: Just Another Prepaid Credit Card? You may have seen commercials recently for the “Chase Liquid” and wondered what it was all about. Well, spoiler alert! It’s a new prepaid credit card, the latest to enter an already crowded space. Yes, Suze Orman already launched her prepaid card, The Approved Card, back in early 2012. So let’s dig deep and see if Chase’s take on the prepaid credit card is any different (or better) than the rest. What Makes Chase Liquid Unique? What’s cool about the Chase Liquid card is that it works off the bank’s existing infrastructure, meaning you essentially get a Chase debit card without actually using Chase for your banking needs. In fact, you can visit a local Chase branch and open the card immediately. There are no fees to open or activate an account, and a deposit of just $25 gets you on your way. Once your account is open, you can use the Chase Liquid card anywhere Visa cards are accepted, which is pretty much everywhere these days. You can also withdraw cash from any Chase ATM machine or bank branch without being subject to a fee. If you need to load your card, you can do so at these same ATMs. Just load your cash or checks into the ATM and you’ll see your balance grow instantaneously. Assuming that’s not already cool enough, you can even load checks to your Liquid card using a mobile device, all with no fees, 24 hours a day. So we know Chase Liquid provides a ton of convenience and simplicity, but what about the cost? Like all other prepaid credit cards, Chase Liquid has fees, the biggest and most notable being the monthly flat fee of $4.95. There is also a $2 charge if you withdraw money at a non-Chase branch or ATM. This is pretty standard, as it would apply with most any debit card out there. If you use the card abroad, you’ll be subject to a 3% conversion fee, which again is very standard unless you use a credit card with no foreign transaction fees. Chase Liquid actually comes with a few freebies, including a free card replacement if you lose it, and a free temporary Chase Liquid card. There is also no overdraft fee, even if your account dips below $0. Try getting that with a standard debit card. 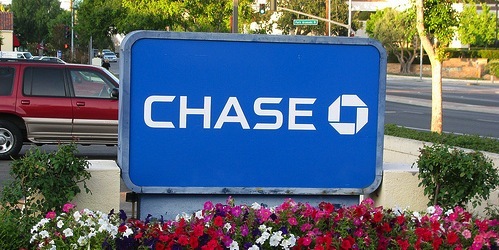 Additionally, Chase does not charge a fee if you withdraw cash at another bank when you use a teller. However, you will be subject to the fees they charge though…so it’s probably best to find a Chase branch if possible. You also get access to Chase’s mobile and online banking so you can monitor your account and manage all activity via the Internet. What’s the Consensus on Liquid? At the end of the day, you’re essentially getting a Chase checking account for half the normal price. For those that don’t meet minimum requirements, a typical Chase checking account would set you back $10 a month. With Chase Liquid, you get pretty much all the same stuff at half the cost, just $4.95. So for those who don’t qualify for free checking with Chase, which is probably millions of people, this is certainly a viable alternative to consider. Previous Previous post: Are Credit Cards Going to Be Obsolete Soon?